Young angler Chris Randall made up for missing out on an England squad place by being crowned the national champion. 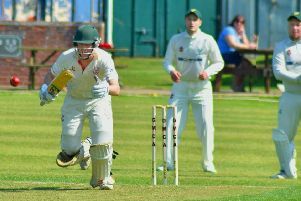 The Melton teenager did not make the cut for the under 15s squad after being invited to trials for the second year running. But Chris made his point loud and clear when he beat several members of that national squad to top a 48-strong field and win the under 15s title at the Angling Trust National Junior Championships. After accumulating 32lb of small carp at Aston Park Fishery, in Sheffield, the John Ferneley College pupil faced a tense two-hour wait before the results were announced. They had travelled up eager to improve on his previous trip to the nationals when he caught just three pounds. The omens looked good when he drew peg 43, having shown excellent form on the neighbouring peg on a practice day at the venue. But still there was little expectations of what was to come. “You couldn’t really tell how the others were doing,” said dad Andrew. “But at the end we had to wait an hour for the weigh-in and then another hour for the results to be finalised. “When they read out the third-placed angler, we thought that’s nowhere near our weight, and only when they announced second place did we know Chris had won. It was amazing. “We were expecting him to do well, but not that well; he was up against lads that had been picked for England. While still only 14, and with only three years of competitive angling behind him, Chris is already giving the seniors a run for their money. He is currently tied for the lead in the Asfordby and Melton Society of Anglers’ Evening Series, and also competes at Holwell Angling Club matches. Chris first became hooked on the sport as an eight-year-old during a family holiday to Cornwall when he tried crab fishing with his dad Andrew. “He put cat meat in a white net and started crab fishing like that and it grew from a £5 piece of equipment up to the very top end. An invitation onto the Angling Trust Pathway scheme where he receives coaching from one of he country’s leading anglers, Matt Godfrey, has helped him make big strides forward, as well as coaching from Mike Smith at Asfordby, and Ian Wilkes at the Notts Angling Association. As well as the local hotspots, Chris travels around the region, and beyond, to compete and is currently trying to defend his Notts League title. He also has to crowbar other sports into his busy weekend schedule, but there’s no doubt which sport takes priority. “Fishing is what he wants to be doing. He plays football and cricket, but fishing is the top interest.